Any student 60 years or older who is ineligible for any other financial aid will have tuition waived. This scholarship does not include fees or textbooks. Any student who has graduated within the same year they are attending college for the first time are eligible for a one time tuition waiver. This scholarship does not waive any fees, this waiver cannot be used with any other two-year community colleges or four-year universities. Contact the admission office for more information. Glacier Electric Cooperative sponsors, annually, one full tuition and fees scholarship to be used at the Blackfeet Community College in Browning, MT. Please observe the following information and guidelines. The applicant or applicant’s parent or legal guardian must be a member of Glacier Elective Cooperative at the time of application. The applicant must have maintained a 2.5 (C+) grade point average from freshman year through the date of application OR have earned a GED. The applicant must be enrolled in the Pre-engineering program at Blackfeet Community College in the fall of the current year. applications will not be eligible for consideration. Applications must be received at Glacier Electric’s Cut Bank office no later than the dealine on the application. The applications will be available on the Financial Aid Scholarship bulletin board. Various scholarships are offered at Blackfeet Community College through the American Indian College Fund. online application must be submitted. Scholarships and selection criteria are advertised at the beginning of each semester. A student may apply for these scholarships through an application process, as advertised, during the third week of each semester. These scholarships are advertised through postings in each building, and advertisement on campus. The Scholarship Committee makes the final selection, awards are on a case by case basis-no two students are alike. See the Financial Aid Office for more information. The American Indian College Fund’s motto is educating the mind and spirit. We achieve this by providing Native students with scholarships and providing financial support for the nation’s 33 accredited tribal colleges and universities, which incorporate American Indian culture and language into their curriculum to honor our students’ heritage and Native identity. 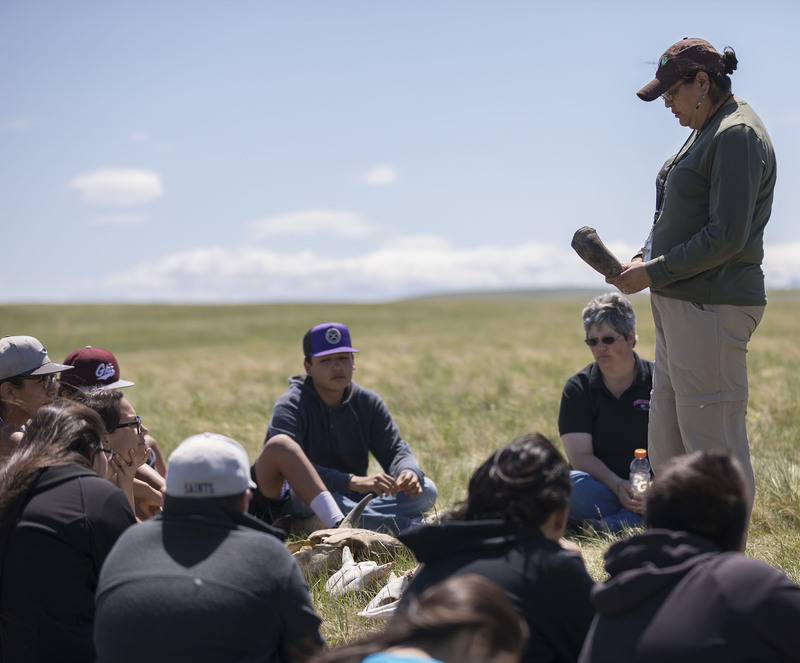 Blackfeet Community College maintains a listing of private scholarships. Eligibility varies with each source. Scholarships listings are available to all students. Web addresses are posted with each scholarship on the bulletin board with application requirements and deadline next to the Financial Aid offices. Are available for the student in postings, in e-mailings or in online scholarship searches such as the Fast Web Scholarshipsearch engine. Any or all information received in the office are posted on the bulletin board across from the Financial Aid office, students are encouraged to check this board for daily/weekly updates of the latest scholarships available. Cobell Scholarship – Deadlines, eligibility, etc. necessary to complete the application, & are administered by Indigenous Education, Inc.
American Indian Graduate Center (AIGC) – Scholarships available from the AIGC each year & are administered by the AIGC. American Indian College Fund (AICF) – Scholarships offered each year and each semester & are administered by the College fund. Scholarship Opportunities for American Indian Students – Lists a variety of scholarships for Native Americans & are administered by their respective donors. The American Indian Education Foundation – Student college information, scholarships and more & are administered accordingly. Additional Scholarship Links are available on the BCC Financial Aid Facebook page.